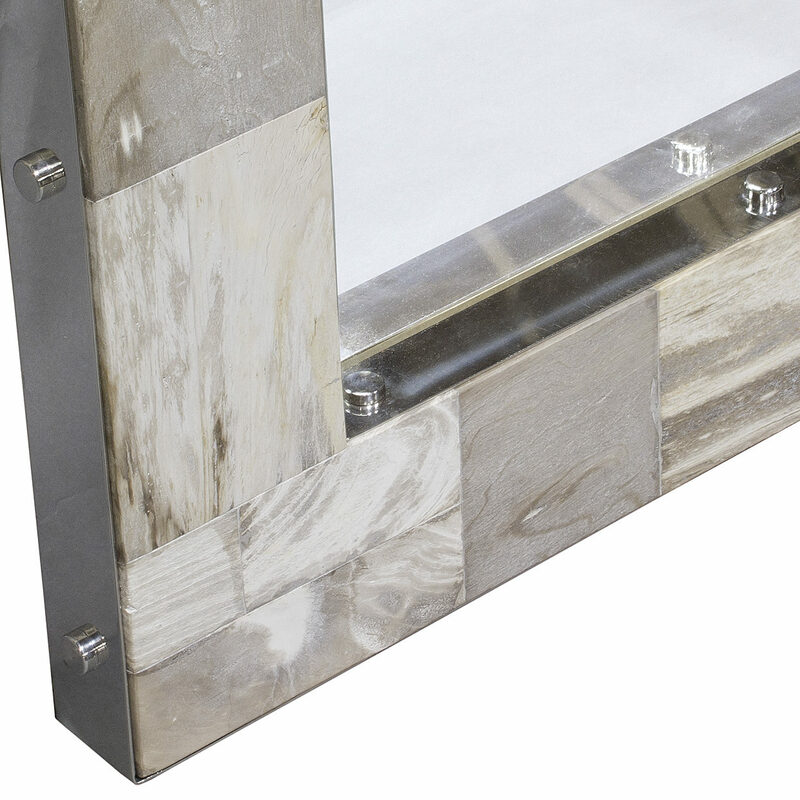 Petrified wood tiles with polished stainless steel trim and rivets on inside and outside edge of frame. Each tile is unique and will vary in pattern and color. 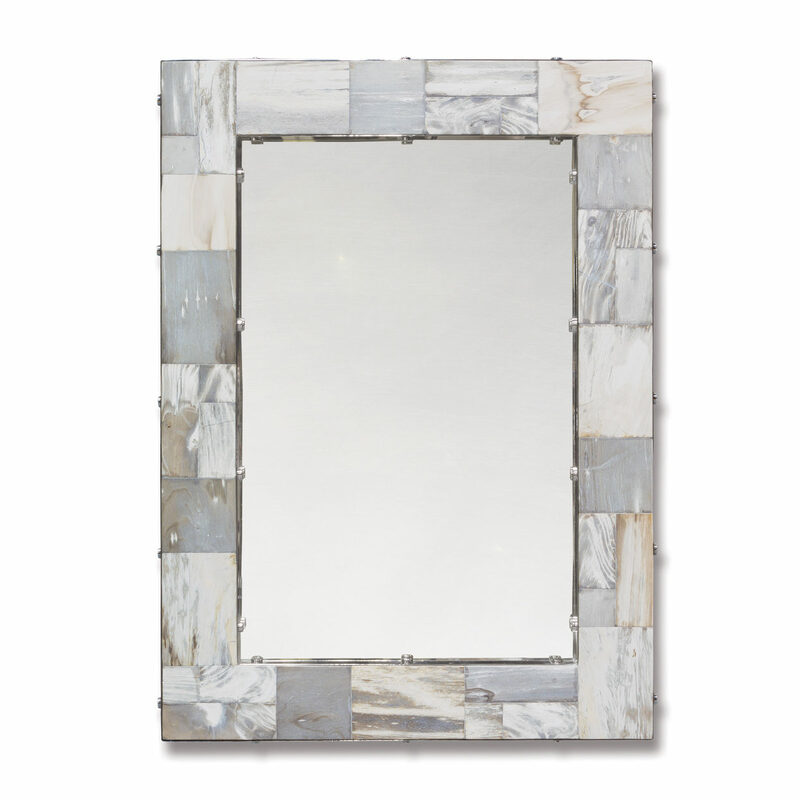 Mirror includes cleats for mounting both vertically and horizontally.